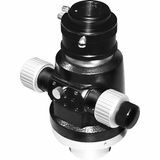 This innovative focuser for 8" and 10" reflector telescopes features a helical spur on the two-speed focus mechanism which provides even greater positive control of the drawtube compared to Crayford focusers, while minimizing backlash and slippage. 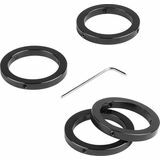 Looking for a focuser for your home-built telescope or just want to upgrade for a lower-quality focuser? 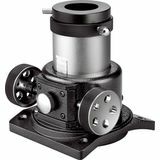 The 1.25" Orion Basic Rack-and Pinion Focuser is perfect, and with its universal base it will fit Newtonians of 4" aperture and larger. Want to replace your existing rack-and-pinion focuser on your Orion reflector? The 2" Orion Crayford-Style Focuser is a good upgrade and provides smooth, accurate focusing. Very easy to install and lets you easily achieve the sharpest possible focus. Upgrade your old refractor using this Orion 2" dual-speed Crayford focuser. 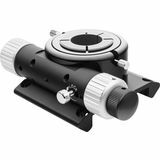 Features easy installation on many Orion refractor telescopes, and includes an 11:1 fine focus reduction gear for all your visual and astrophotographic needs. 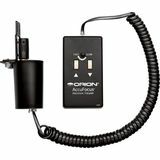 The Orion AccuFocus Electronic Telescope Focuser works with many Orion telescopes for pushbutton control of your focuser. It is very easy to install and is powered by one 9V battery (included). 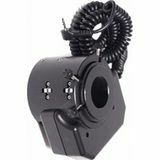 Includes focuser with adapters for the rear of any Meade LX200-ACF or LS model telescope and cord to plug into the focuser port of the telescope. Orion Telescopes stocks several telescope focusers designed with precision and durability in mind. 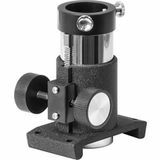 Whether you need a basic rack-and-pinion telescope focuser for your homemade telescope project or a premium Crayford-type model with dual-speed focusing as a performance upgrade, you have come to the right place. 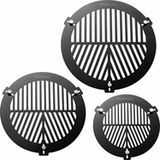 All Orion 1.25" and 2" telescope focusers are engineered to provide smooth drawtube action to ensure you hit the exact focus point every time.